Nikita Belykh, the liberal governor of the Kirov region and a former opposition leader, is facing a new wave of pressure from opponents after 19 regional lawmakers announced their intent to put forward a no-confidence vote against him. Investigators raided Belykh’s office last week in connection with the alleged theft of $3 million in state property involving a subordinate of the governor and three others. The governor has also been questioned recently as a witness in two criminal cases against opposition leader Alexei Navalny, a friend and former adviser to Belykh. Some observers have said they believe that the investigators’ actions are part of a Kremlin-led campaign against the governor, the only regional head who is a former prominent member of the nonparliamentary opposition. Belykh led the now-defunct Union of Right Forces party in the 2000s and was a member of opposition movement Solidarity. The regional deputies behind the push for a no-confidence vote deny any connection between their initiative and the raids last week on Belykh’s office. They said they are concerned only about the region’s economic policies and a supposed decline in popular support for the governor. The initiative was proposed Monday by regional deputy Valery Krepostnov of United Russia, who said 19 lawmakers from the ruling United Russia party, the Communist Party and the Liberal Democratic Party had signed a document calling for an extraordinary meeting to decide the matter. A vote on the motion is scheduled for Feb. 14. 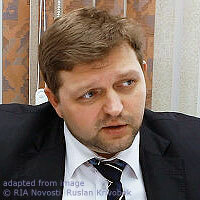 Local and federal United Russia officials said the party was not behind the effort to oust Belykh. A deputy head of the regional legislature said most of the assembly’s 54 lawmakers were unaware of the motion. In order to for the vote to pass, 36 lawmakers must approve it. The Communist Party, which has eight deputies in the legislature, has long opposed Belykh’s leadership and vowed to support the measure. Belykh told Kommersant in an article published Tuesday that the deputies behind the effort had never voiced complaints to him before. The Liberal Democratic faction, which numbers six members, has not yet decided how to vote, while the nine deputies from the social-democratic Just Russia party will not support the effort to oust Belykh, calling him one of the region’s most effective governors in recent years. “During his governorship, the region has become much more attractive for investors, and federal target programs have started to work here, which didn’t happen before Belykh,” said Sergei Doronin, head of the Kirov branch of A Just Russia. Doronin speculated that Krepostnov may have initiated the no-confidence motion as a result of his own ambition to be elected governor. Direct popular election of governers was recently reintroduced, and Belykh has expressed a desire to run in 2014, when his five-year term is scheduled to expire. The Kremlin retains tight control over regional leadership posts. In recent weeks, President Vladimir Putin has replaced the heads of the volatile Dagestan republic and the Magadan region in the Far East. And legislation under consideration in the State Duma would allow regional legislatures to let the president select a region’s governor. A Kremlin official told Kommersant that the presidential administration had nothing to do with the regional deputies’ initiative to oust Belykh. Alexei Titkov, an analyst at the Institute of Regional Politics, said regional lawmakers appeared to be taking advantage of the situation to express their discontent.